I’ll spare the rehashing of American history when it comes to describing Fits of Reason by Brown Bird. The point of reference I was aiming for was Plymouth Rock, only in that’s located in a New England state. Despite being hailed for its intrinsic energy, progressiveness and commonality, New England is home to a diverse group of musicians that most would not lump together under any convenient category. New England has never been counted amongst the homogenized pockets (Detroit, Chicago, New Orleans, Muscle Shoals, Nashville) that have defined American music to date. Discounting the myriad Boston-based bands, when considering musicians of the Americana ilk residing in New England, the following few immediately come to mind: Deer Tick (Rhode Island expats now located in Nashville), The Low Anthem (also Rhode Islanders), Neko Case (now firmly rooted in Vermont) and Hannah Fair (the Connecticut-based songstress that continues to warm the heart of Bucket Full of Nails). Despite the lack of regional notoriety, the circuitous nature of insular New England led me to discover the music of Brown Bird. Having released their latest album, Fits of Reason, this week, Brown Bird is their own animal. As laid bare on the cover of Fits of Reason, the band’s current influences are all over the map. 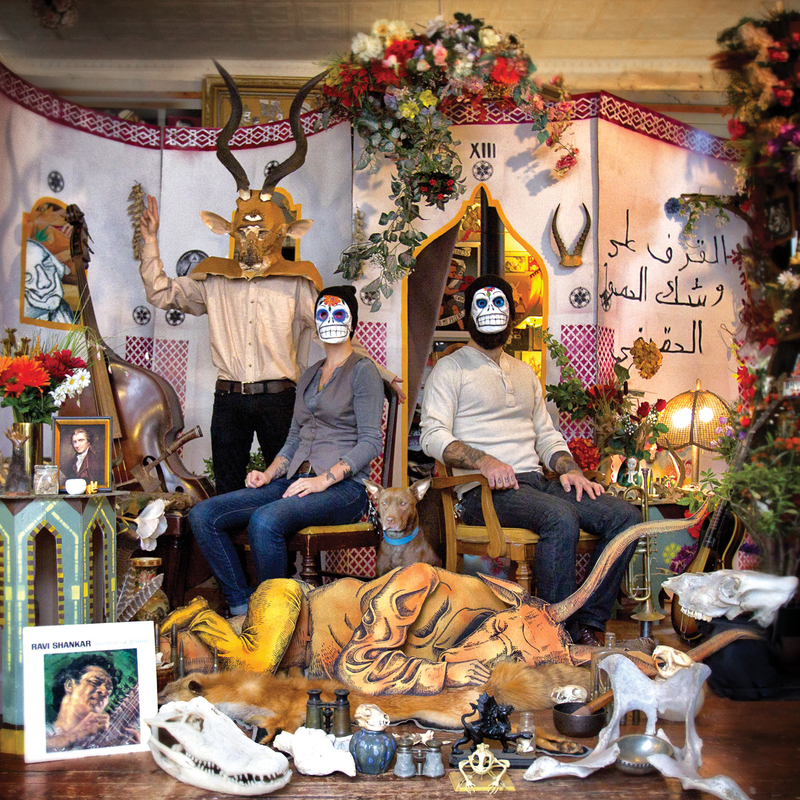 From the Ravi Shankar album cover to Arabic writing, pseudo-Mexican death masks to the portrait of Thomas Paine, Fits of Reason is a distillation of sources filtered through a Middle Eastern vibe. Relying on sparse yet progressive instrumentation, band members David Lamb and MorganEve Swain bring topics such as politics, philosophy and religion to the fore on Fits of Reason. No matter their location, Brown Bird have absorbed the influences of our greater world and filtered them through a lens that is truly American in nature. Stream the album below but don’t expect any answers to such universal quandaries; what you’ll likely get is more questions. Brown Bird are currently touring in support of Fits of Reason. You can find their tour dates here.